With barely any daylight right now our team are hard at work indoors. Restoration work is focussed on PD2 1349 and Royal Tiger 377. 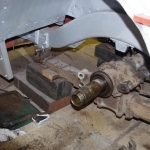 The next blog will focus on 377 so the pictures here are mainly of 1349 where we’re now concentrating on mechanical parts. 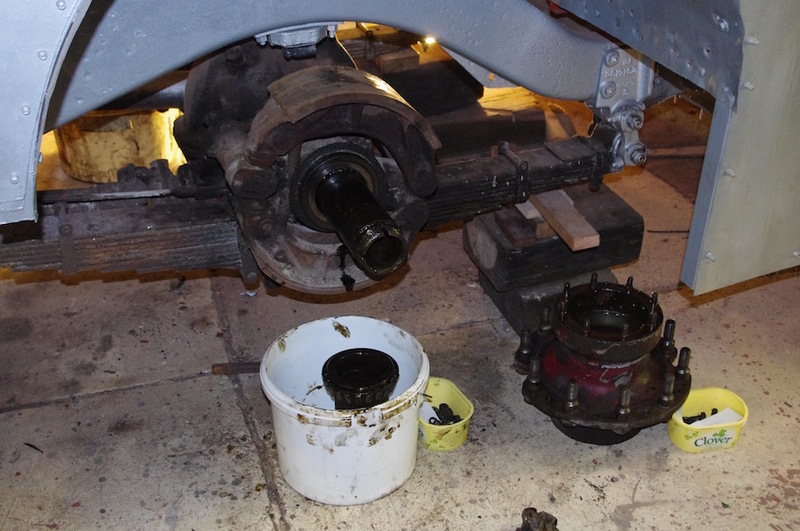 Both rear wheels have been taken off to allow removal of the brake drums, hubs and halfshafts. 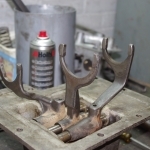 This has been done so their condition can be carefully assessed and to clean them throughly. So far, all appear to be in good condition, remarkable considering the buses has barely moved for 35 years. 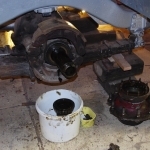 The next step is to remove and refurbish the brake rodding. 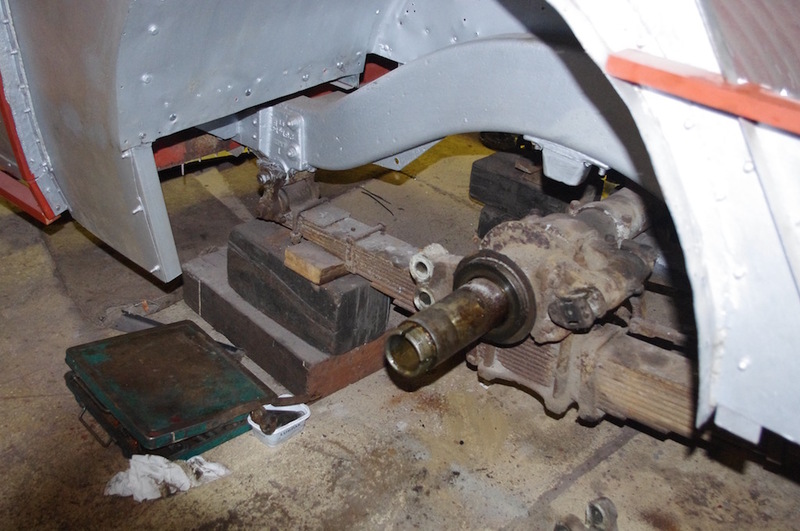 Meanwhile work continues on fitting wooden framework to the upper bodywork. We’ve also started to prepare PD3 1775 for its MoT. It was rested during 2015 but the aim is to have it back in service for 2016. 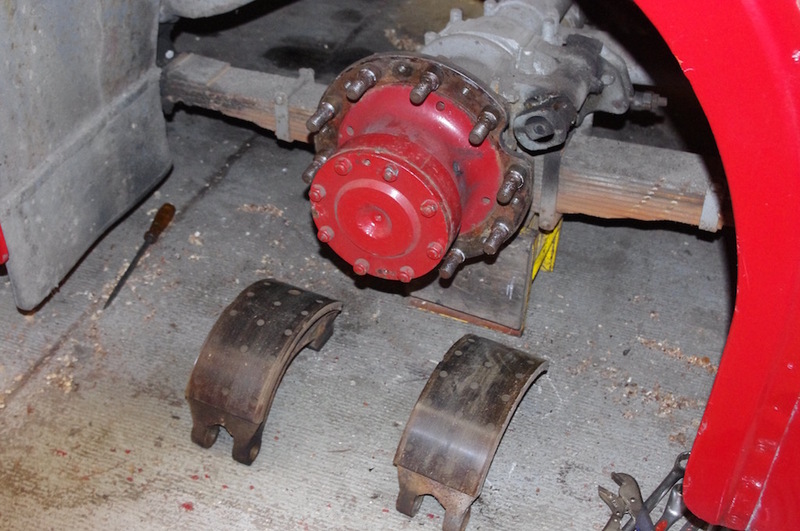 It doesn’t have any significant problems but we’re taking the opportunity to fit new brake pads to the rear wheels. Another bus getting attention is Cheetah 1568. Most of the issues we discovered over the past two years have been resolved but we’re now dealing with a gear selector problem. Very occasionally it has tried to engage second and reverse at the same time which is not a good idea. 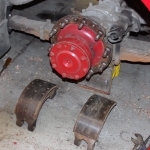 Investigation has shown that some parts in the gear selector box have become badly worn – not surprising on a 1936 bus. 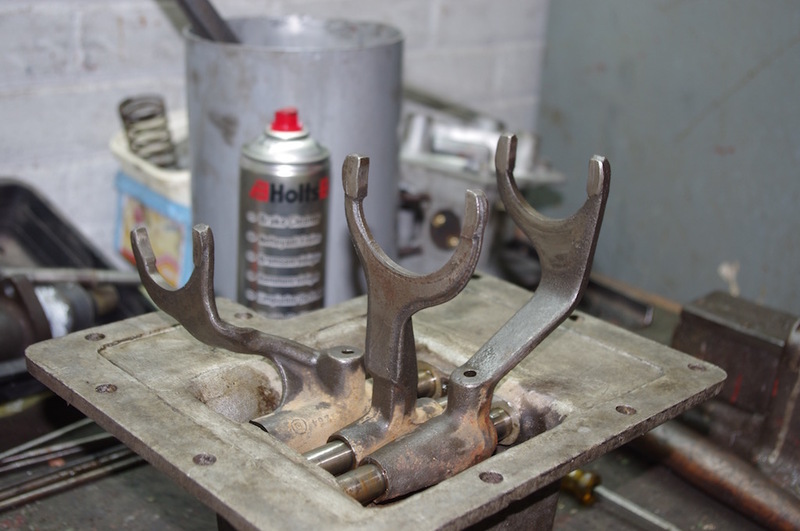 We’re in the process of re-engineering some of the parts to resolve the issue. The photos this time don’t show immaculate buses on service. Instead, they are a reminder of the oily part of our work.